Emilia Williams, inspired by the Denham Support Group brought together a team of her ten year old school friends Sophie Ratcliff, Emilia Williams, Abbie Cheshire, Maahi Parikh and Imani Kotecha. 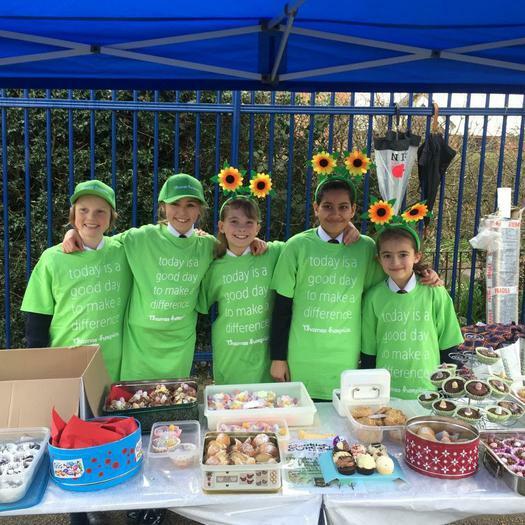 The girls proudly baked cupcakes & cookies and sold them on the last day of the spring term…all in aid on Thames Hospice! Over 200 items sold in just 15 minutes to their school mates and £105 was raised for Thames Hospice. We are all very proud of them for working hard to make a difference.